Less than an hour away from Philadelphia, PA, this maritime state offers visitors gorgeous estates like the stunning Nemours Mansion and Garden, historic sites, museums and pristine white-sand beaches to be enjoyed by romantic couples or families with kids. If you follow the state’s history trail, you'll get acquainted with famous figures from Delaware's past, from the early pioneers to the creative minds driving America's Industrial Revolution. The Hagley Museum and Library is a great place if you want to learn about the state's rich history - originally the site of the gunpowder works founded by Delaware's famous Du Pont family, a trip here is like stepping back into another time. Nemours Mansion & Gardens was also owned by a Du Pont but now is a lovely visitor attraction, with gorgeous interior furnishings and a splendid garden in which to wander around. Given its strategic location on the Delaware River, the state played an essential role in the Civil War. Take a tour of Fort Delaware State Park to learn more about this chapter in its history, with there also being a number of exhibitions (such as the heavy artillery demonstration) that the kids will love. Cycle along the Cape Henlopen State Park and marvel at the wonderful coastal views. Or, head off hiking through the luscious White Clay Creek State Park. Our pick of the best places to stay in Delaware include options whether you're looking for a luxury beach break or more conventional city stay. 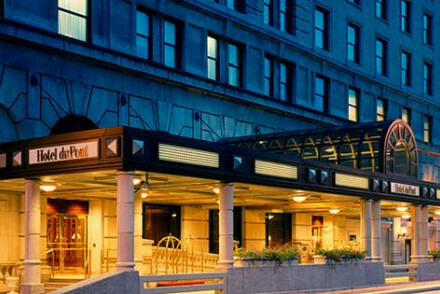 The Hotel Du Pont is a smart hotel located in the heart of Wilmington, the lively and attractive state capital. The hotel features classical interiors fusing contemporary and traditional styles. Magnificent dining and banquet rooms serve food from the award-wining French restaurant The Green Room. Formed out of 11 historic houses the Inn and Spa at Montchanin Village is a beautifully restored hotel with the attraction of four-poster beds, lovely gardens, and an excellent spa. 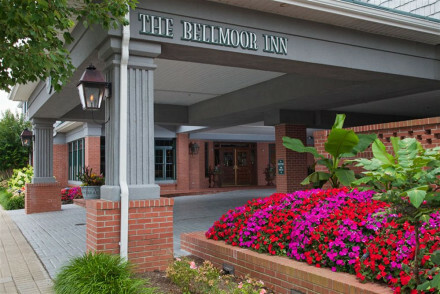 The Bellmoor is a luxury spa and resort in the heart of coastal Rehoboth Beach. A short walk from the long beach with its famous boardwalk, rooms are decorated in a nostalgic seaside style with antique beds, and painted seascapes. You are best visiting Delaware in the summer, with the temperature hovering between 21-31°C in July. Whilst there's a small domestic airport in Wilmington, most international travellers will have to fly into Philadelphia International Airport - located 20 miles northeast of Wilmington. From here, take the train on to your final destination in Delaware. 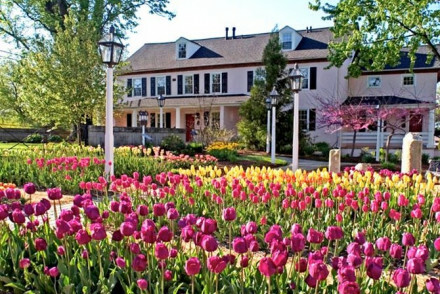 Browse through our list of the best places to stay in Delaware. Expand your search to include our recommendations in Pennsylvania or Maryland. A cluster of 11 historic houses restored into this charming hotel. Private, uniquely designed buildings feature rooms with modern marble bathrooms, four poster beds, and gardens. Superb spa offering massages, facials, and treatments. A magical, relaxing retreat. A luxurious hotel located in the heart of lively Wilmington. A breathtaking classical interior boasts grandeur and opulence. Large rooms fuse contemporary and traditional styles. Magnificent dining and banquet rooms serve food from the award-wining French restaurant 'The Green Room'. A luxury spa and resort in the heart of Rehoboth Beach, Delaware. Palatial rooms decorated in a nostalgic seaside style with antique beds, seaside paintings and floral prints. Cosy up with a good book in the classic libraries or explore the famous boardwalk! Full of old world charm. Fishing - From Flounder to Striper, there are plenty of fish to be caught at the Delaware Beach. Swimming Pool - Outdoor seasonal.